Though misplacing a $20 bill can be frustrating, it’s not exactly the kind of money mistake that can harm your finances. It’s deeply entrenched habits that have you misspending your money that you have to watch out for. Often times, you aren’t even aware you’re making these mistakes, so take a look at this guide and make sure you avoid any of the following bad habits. This is a pervasive issue throughout North America. Roughly 60% of Americans and 53% of Canadians don’t use household budgets to control their spending. That means they don’t have a clear understanding of where their money is going each month. Even a general mental tally of your purchases isn’t enough. A budget is meant to be an extensive account of your net income and all of your expenses, including those one-off items or services you need only once in a blue moon. Once you can account for every dollar that comes and goes from your hands, you can have a better idea of your financial capabilities to provide for your family and reach your goals. It can also highlight spending habits you need to change in order to start saving. It will take time to see the effects of your budget. Until your new spending habits can generate proper savings, you may not be prepared to cover unexpected repairs, household purchases, or bills that come your way. If you find yourself short by $500 or less, quick online payday loans can provide the fastest access to cash possible. With round the clock application procedures, they can process your request in as little as 5 minutes and in some cases connect you with a short term loan in just 1 hour. Before you fill out an application, just remember to read the associated fees and terms of their assistance in full. To gloss over these conditions could be a huge mistake, as no loan is one-size-fits-all solution. Though they’re regulated by provincial governments, low value loans can prove too difficult to repay for some budgets. Make sure you’re able to repay your loan in full without jeopardizing other obligations you must pay, like rent or groceries. Impulse buying is the bane of every budget. They have the power to put a perfectly tallied financial plan into complete disarray. Though it’s easy and fun to give into that part of you that wants to buy takeout at lunch each day, play Mass Effect: Andromeda, or splurge on a new pair of Roots sweats, these purchases add up and can prevent you from saving. 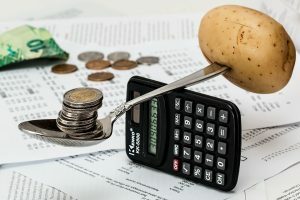 A budget can help you become better aware of what kind of purchase is your weakness, but you’ll need self-control in order to eliminate them from your life. Try brown bagging your work lunch, and sitting on the decision to buy the latest game for at least 30 days. A month can help you convince yourself you don’t need it. Once you start saving, you can use this extra cash to build up emergency funds, retirement plans, and investments — all of which are vital financial tools that can help prepare you for the future. You can also set aside a portion of this money towards something fun, so you don’t get too depressed by your frugal ways.